"Biographical." A web version of Anthony Trollope's biography of Thackeray, which originally appeared in the English Men of Letters series edited by John Morley. The Victorian Web , edited by Professor George Landow. "William Makepeace Thackeray." 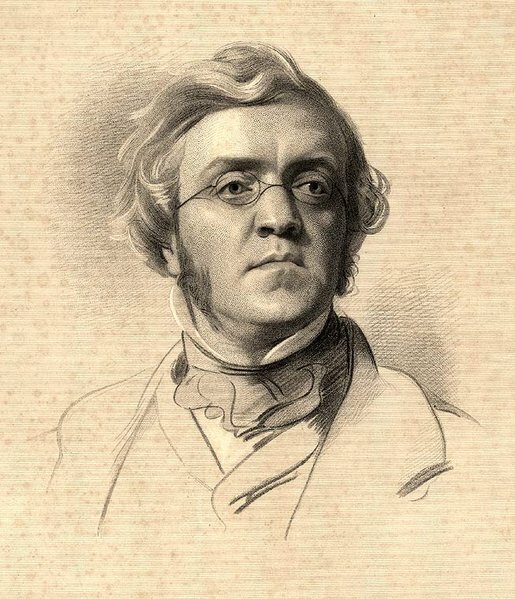 Essays on Thackeray's writing techniques, themes, biography, and the Victorian background.This is an excellent website for getting a thorough overview and detailed understanding of Thackeray and his writing. The Victorian Web , edited by Professor George Landow. Ray, Gordon N. The Uses of Adversity, 1811-1846 . Volume one of Gordon N. Ray's two-volume biography of Thackeray. Professor Ray, who also published a four-volume edition of Thackeray's letters, is considered the standard biographer of Thackeray [free, full text from the internet archive]. "Thackeray's Vanity Fair ." A web page from Professor Lila Melani's class at CUNY Brooklyn on the Victorian novel. Embry, Kristi N. A review of The Inheritance of Genius: A Thackeray Family Biography by John Aplin. Reviewed in Studies in the Novel 43, 4 (winter 2011), pp. 507-508 [free at jstor]. "William Makepeace Thackeray." Old literary history and criticism (1907-1921), covers Thackeray's major and minor works. The Cambridge History of English and American Literature . Pearson, Richard. "William Makepeace Thackeray." An introduction to Thackeray from the Literary Encyclopedia , 28 October 2000. On Vanity Fair [subscription service]. Brogan, Howard O. "Rachel Esmond and the Dilemma of the Victorian Ideal of Womanhood." ELH 13, 3 (Sep., 1946), pp. 223-232 [free at jstor]. Chase, Karen. "The Kindness of Consanguinity: Family History in Henry Esmond ." Modern Language Studies 16, 3 (Summer, 1986), pp. 213-226 [free at jstor]. Colby, Robert A. " Barry Lyndon and the Irish Hero." Nineteenth-Century Fiction 21, 2 (Sep., 1966), pp. 109-130 [free at jstor]. Cole, Sarah Rose. "National Histories, International Genre: Thackeray, Balzac, and the Franco-British Bildungsroman." On Thackeray's Pendennis , Balzac's Lost Illusions and the international genre of the German Bildungsroman. Romanticism and Victorianism on the Net 48 (Nov. 2007). Cole, Sarah Rose. "The Aristocrat in the Mirror: Male Vanity and Bourgeois Desire in William Makepeace Thackeray's Vanity Fair ." Nineteenth-Century Literature 61, 2 (Sept. 2006) pp 137-70 [free at jstor]. Fasick, Laura. "Thackeray's Treatment of Writing and Painting." Nineteenth-Century Literature 47, 1 (June 1992) [free at jstor]. Kurnick, David. "Empty Houses: Thackeray's Theater of Interiority." On nineteenth-century drama and its cultural competition with the novel. Victorian Studies 48, 2 (Winter 2006) pp 257-67 [free at jstor]. Lindner, Christoph. "Thackeray's Gourmand: Carnivals of Consumption in Vanity Fair ." On Thackeray's representation of excessive consumption and runaway consumerism in Vanity Fair . Modern Philology 99, 4 (May 2002) pp 564-81 [free at jstor]. Shillingsburg, Peter. " Esmond in Three Volumes." On the publishing history of Henry Esmond , a chapter from Pegasus in Harness: Victorian Publishing and W. M. Thackeray . Article by the distinguished textual editor Peter L. Shillingsburg, at the Victorian Web . Tierney, Terry. "Henry Esmond's Double Vision." Discusses the narrative perspective of the novel. Studies in the Novel , 24, 4 (Winter 1992), pp. 349-365 [free at jstor]. Tilford, John E, Jr. "The Love Theme of Henry Esmond ", in PMLA 67, 5 (Sep., 1952), pp. 684-701 [free at jstor]. Worth, George J. "The Unity of Henry Esmond , in Nineteenth-Century Fiction 15, No. 4 (Mar., 1961), pp. 345-353 [free at jstor]. "The Victorian Governess: A Bibliography." Vanity Fair 's Becky Sharp was one of many governess characters in the Victorian novel. A list of books and articles on the governess in Victorian society and in Victorian novels. By Cynthia E Huggins, at the Victorian Web . Thackeray's first substantial novel makes use of an autobiographical narrator, a charming young Irishman, an inveterate liar determined to pass himself off as a wealthy English gentleman. Both the 18th century setting and the style make the novel feel Fieldingesque.